Today’s Guest Post is looking at décor trends and I’d be interested to know if you agree with them? A while ago I wrote about trends in colour for 2013 and I think we’ve seen a lot of it coming through, but what about these ideas, do you think you’re seeing them on the high street? Fashions change at home as well as in our wardrobes, and as we move into summer there are plenty of new home décor trends to look forward to in 2013. 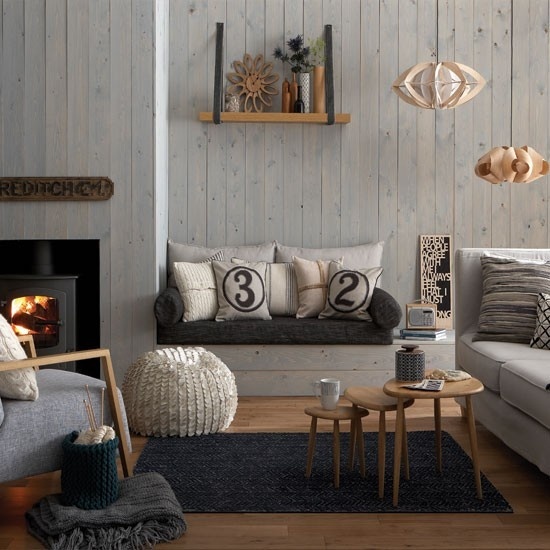 This year there’s a general shift towards a more natural aesthetic, with the back to nature vibe affecting everything from colour choices to room motifs. If you’re looking to give your home a new look for summer, or simply want to update your living space, Allianz Your Cover (http://www.yourcoverinsurance.co.uk/) provides you with 5 trends to watch for the year ahead. Forget the shocking brights of the past few years – 2013 is all about keeping it natural. Whether we’re talking wall colour, or shades for accessories, lighting and furniture, colours are being toned down – yellows becoming softer and more brown, reds becoming more earthy and orange. Remember that neutral and natural doesn’t have to mean plain and boring – you’ll find olives, leathery browns, rich cappuccinos and creamy hues to play with, as well as lighter blues and navy. The contemporary traditional home continues to soften up this year. Rather than an emphasis on making hard style statements, the stress is on creating natural, fluid layouts that fit into the environment. Opening spaces up with flowing floor plans, and making use of traditional materials and neutral colours all help to soften the look of the historic contemporary style that has reigned over the traditional family home décor scene in recent years. While highly stylized decor features remain a mainstay of the home décor world for 2013, the type of features on display are changing. There’s a move towards a greater appreciation of the home’s history, of authenticity, and of quality – so think exposed wooden beams, stone flooring, marble tops and textured walls, tying in with the move towards a more natural living space. When it comes to room accents, again the emphasis is on a harmony with nature. Look out for down to earth materials and motifs featuring feathers, bamboo, shells, stone and stained glass, and avoid non-organic artificials like plastic. These organic materials help to create a far more soothing home environment, and are so easy to tie in with the year’s neutral colour schemes. In terms of prints, pretty insect, botanical, and floral prints will continue to grow in popularity this year, helping to bring the outside inside and emphasis that back to nature vibe. For soft furnishing especially, the tribal look remains strong. However, for 2013, the look softens, with a more relaxed Boho feel. Tribal prints and motifs, with their traditionally strong colourways, are a great way to add splashes of colour against this year’s must-have neutral colour palette. Look for curtains, throws, bedding and cushions featuring traditional tribal prints, mask and feather motifs, as well as detailing that incorporates wood, shells or tribal beadwork.